Hire a walk behind floor sweeper for those smaller hard floor areas, suitable for removing both dust and debris. With the flexibility of weekly, monthly or long term hire available we are confident we will be able to meet your requirements. For more information on hiring a floor sweeping machine including prices please call us on 01684 850777 or email us on info@clemas.co.uk. 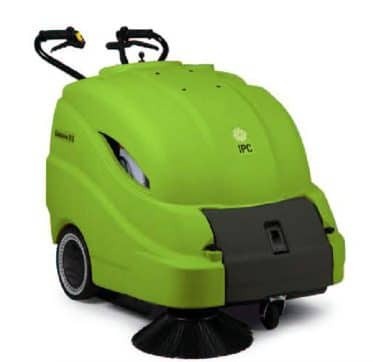 The Gansow 512ET is a medium sized battery operated walk behind floor sweeper with excellent dust control along with a 50 litre hopper. The Gansow 712ET is a battery operated pedestrian sweeper with a maximum of a 900mm sweeping width and 65 litre hopper capacity.